Here is a few more tips about buying gold. Betting against gold is the same as betting on governments. 2013! Imagine if you would have have bought gold just a few years back. Say around 2008 when the price was around $700-$800 per ounce. Well you would have doubled your money by now for sure but better yet you would have protected your money from being devalued or worse yet, like in Cyprus where the average citizen will loose anywhere from 10% or more of their cash savings due to the failure of the banks. Also in 2013 the world saw Venezuela devalue their currency by 1/3. That means if you had say $100 dollars worth of currency you now have 1/3 less. So in other words everything you buy now will cost 1/3 more. Especially if what you are buying is imported. But if you had your money invested in gold, you would be 1/3 richer because your gold would have stayed the same price. So let's say you had $100 dollars worth of gold and the currency devalued by 1/3, your gold will buy you 1/3 more so you would basically have about $130 whereas with holding just cash you would have about $65-$70 of currency. Of course I am a gold bug through and through and am a big proponent of owning physical gold and silver. You can't run a mining webite like this and be anti-gold or anti-silver or worse yet be anti-ownship of the metals. I's is thrugh this website that I get so many people asking about the ownership of gold and silver and where the better places to purchase them are located. If you want to find out about trading silver, go here. Years ago if one was wanting to buy gold or silver there were few places to buy. Unless you knew a gold miner and just wanted raw gold or nuggets, you most likely bought gold from the bank or a coin dealer. That gold came in the form of a gold coin. And in most cases a 1 oz. coin. Like the Maple Leaf, the Krugerrand or the Golden Eagle. Buying gold is one of the absolute best hedges against inflation and a way to ensure that you have real money. Today you can still go to the bank and buy the coin, pay all the fees and exchange rates. Some coin shops deal with just minted coins but there are those that handle other products as well. Some dealers sell gold bullion bars in various weights from 1 ounce to 100 ounces or larger. Study the differences between bullion gold coins, which are valued according to the market price for an ounce of gold, versus coins that have a collector's value. Another place to find gold and silver in coins and even small ingots is in pawn shops. And you can always go and see what is happening on places like ebay. With metal prices on the rise, a lot of sellers have been cleaning out the closets and a lot of bidders have been showing up for items like these. A great place on the net to check out for coin prices vs. metal content is coinflation. Places like Bullion Vault allows you to buy gold and have it stored away. Kitco has a gold pool that allows one to buy gold by the gram. Each gram you buy is recorded and added into a pool. Having gold in this pool allows you to buy and sell as you wish. 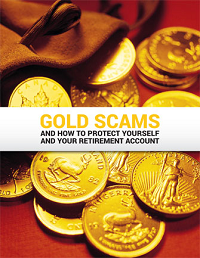 Bullion Vault allows you to buy gold by the gram and uses Brinks vaults to store your gold. With them your gold never leaves the vault and you can also trade both gold and silver like a stock. Regal Assets will send the bullion right to your home where you are in control of it. Not someone else. Safe. Secure. Buying just a little bit of silver bullion? I always check out ebay. I'm a fan of rough hand poured silver bars. Most of the time they are ugly and dull looking but it' silver at it's finest. Exchange traded funds (ETF'S). When buying physical gold there are always concerns about authenticity and purity, as well as storage, transfer fees and insurance costs. But one can still own gold by investing in exchange traded funds. This option makes buying and selling gold bullion as easy as buying and selling stocks. The share price of Stock Charts Gold Shares (GLD) roughly tracks the price of gold and represents an investment in gold bullion. You in turn own gold without the hassle of storing and insuring. "With GLD, each share is priced at about 1/10th the price of gold bullion. If gold goes to $700 an ounce, then the price of a share should be about $70.00. And of course there are fees associated with exchange traded funds, but they're usually low. Mutual funds are more for the do-it-yourself investors that feel the safest way to play the stock market is to buy mutual funds. That advice probably holds up well when looking for a foothold in gold, too. They're not always pure plays on gold, but that helps lessen volatility. There are several out there that give you a little more investing in other areas, rather than just precious metals." There are scores of mutual funds that seek to give investors a stake in gold. The Prudent Global Income (PSAFX) and Vanguard Precious Metals and Mining (VGPMX) are just 2 that come to mind. Be aware that some funds might be more volatile than others and that expense and transaction fees can vary widely. Some funds may also charge a fee if you cash out before a certain holding period, usually six months to a year. Personally speaking I do not like mutual funds as they are way to broad and not targetted on any particluar play. Also with the high cost of management fees and with the present credit crisis issues you can end up on the shorter end of the deal. Mutual funds don't cut their fees if the fund tanks. They still get paid. Win loose or draw. Jewelry is another way to buy gold. A lot of eastern and Arab world countries buy gold in the form of jewelry. In North America it is wise to remember to buy gold jewelry because you like it, not as an investment. You pay a premium for jewelry. If you buy 14 karat gold, it's less pure than investment grade. When you sell you'll need to consider the purity of the gold and, more than likely, it will have to be refined to bring it up to investment grade.